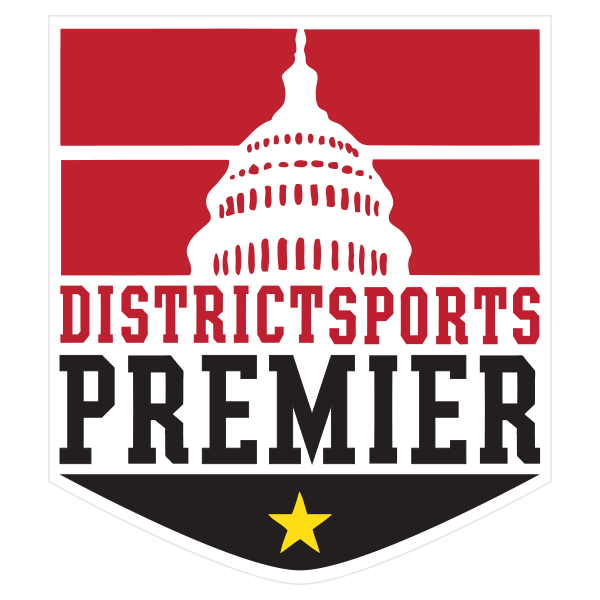 District Sports Premier is a community soccer leagues. Matches should be competitive, but played in a positive and fun spirit. District Sports reserves the right to excuse from the league any player who engages in violent conduct or persistently verbally abuses referees or other players. Fair play is essential to conducting an enjoyable league for all teams. All individual players must be registered for their team on our website. Payment - Throughout the registration process for each season, payment deadlines are made clear. By signing a team up for District Sports Premier, team captains commit to covering the full team fee, either through individual player payments or paying the full team fee up front. Any individual player's dues that have not been paid by the beginning of the season will become the team captain's responsibility. The team captain must make payment equal to the cost of the remaining unpaid dues. Player Refunds - If a player has signed up for a season and cannot participate, due to injury or change in availability, District Sports will honor refund requests made before the start of league play. In the case that a player is refunded, the portion of the team fee he or she was responsible for covering must still be paid, either by a replacement player or an existing roster member such as the captain. Ultimately, any fees not paid due to refunds given are the responsibility of the team captain. Teams may carry up to 30 players on their roster. Players may be added to the roster up until the third game of the new season, at which point they will be frozen. Should a player need to be replaced on the roster after the third game due to injury, team captains must contact league officials directly to make any changes. Players who are replaced due to injury will not be allowed to rejoin later in the season. No changes will be allowed after the final regular season game regardless of injuries. Only Registered District Sports players are allowed to play on a given team. Team captains are responsible for presenting a paper roster to referees before each game. Failure to do so will result in forfeiture. Game officials will cross-check rosters with government issued IDs before all games. Players who do not appear on their teams roster or do not provide ID will not be eligible to play. Footwear - Only soccer/athletic shoes are acceptable. No street shoes or metal cleats. Referees decisions on footwear suitability are final. Each team shall be responsible for providing a suitable game ball. First Aid - It is recommended that team captains bring First Aid materials (tape, ice packs, etc) to games, in case of injury. District Sports Premier referees are contract employees and not licensed to provide First Aid. All players must be wearing uniquely numbered, matching colored jerseys. In instances where two teams wear the same color, it is the responsibility of the away team to change kit. Schedules will be created based on the amount of teams playing in each league. Adjustments to the schedule are not final until approved by District Sports. Teams may not reschedule their own games; this may only be done by a District Sports league administrator. Field Closings - Games played on turf fields will go on even in the event of rain. Games are only cancelled due to severe weather. This is done out of concern for player safety. District Sports Hotline - If there are questions about game status please check with the District Sports Game Hotline 202-263-1143. In the event of cancellations, District Sports will contact all registered players via email and text message as quickly as possible. Suspended Games - If, due to weather conditions, safety conditions, or referee discretion a game is halted prior to halftime, it will be replayed - field availability permitting. A game halted at halftime or later can stand as indicated by the score when the game was halted. Rescheduled Games - If a game is cancelled or halted for any reason, the league will reschedule if possible. In the event that more than two (2) games are cancelled in a season, the league reserves the right not to re-schedule games. Game results will be recorded and posted on the District Sports Premier web page. Teams are encouraged to review their respective League Standings page periodically. The Team Captain should notify the League Administrator of any errors. Tie-breakers are set and calculated automatically on our standings page. The first tie-breaker is Goal Differential, followed by Head to Head and then Goals For. Should teams remained tied after factoring in the above ties breakers, standing will be determined via coin flip. In order to eligible to play in the playoffs, a player must be on the team's final regular season roster. No exceptions. Teams must be fully paid to qualify for the playoffs. Exact playoff rules will be determined by number of teams in the league. They will be circulated to team captains prior to the start of those games. If a team needs to forfeit a league game, they must alert District Sports by 5:00 PM the day before their scheduled match. Confirmation of forfeits should be sent to info@districtsports.com. Yellow Card Accumulation - Once a player accumulates 5 yellow cards in a season they will be required to sit one regular season game. Yellow card accumulation does not carry over to playoffs games. Team Red Card Accumulation - At the point that a team receives 3 red cards in a season they will automatically lose 1 standings point. For every subsequent card (4 and beyond) an additional point will be subtracted. It is the responsibility to captains to ensure that suspensions are served. In the event that a player attempts to play while suspended, the captain will be suspended as well. In the event that a player receiving a red card refuses to give his or her name, the captain will be suspended as if he or she received the red card. District Sports reserves the right to suspend players from league play for behavior or issues both reported and not reported by referees. This is at the sole discretion of District Sports and cannot be appealed. Registration fees will not be refunded to suspended players. Any feedback, issues or complaints regarding league players and referees must be made in writing, so they can be accurately referenced and dealt with by league organizers. All games in District Sports Premier will be played in accordance with the FIFA Laws of the Game. Games will consist of two 45-minute halves with a 5 minute half time. If a team does not have 7 players dressed and ready to play within 10 minutes of kickoff they are considered to have forfeited. If a team does not provide a roster or photo IDs to referees before the game, they are considered to have forfeited. Yellow Card - Referee may call for an immediate substitution of carded player if they determine it helpful for managing game play. At least 9.15 m (10 yds) from the ball, unless they are on their own goal line between the goalposts. Outside the penalty area for free kicks inside the opponents penalty area. Yellow Card - Referees may choose for an immediate substitution of carded player if they determine it helpful for managing game play. Red Card - A player who receives 1 red card will be required to sit out the next game. A player who receives two red cards will be required to sit out the next two games. A player who receives a third red card will be banned for the remainder of the season, including playoffs. Team Red Card Accumulation - Teams accumulating 4 red cards in a season will lose a standings point. In the event that a referee must request a players name from a captain for having been disciplined, it is the responsibility of the captain to provide the detail. Failure to do so may lead to further discipline against this captain. Questions? Contact District Sports -- info@districtsports.com.